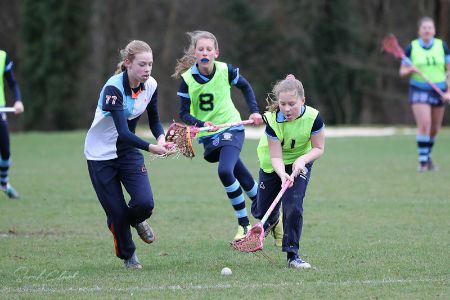 All available Year 8 girls (16) took part in the very well -supported lacrosse fixture against MHS on Wednesday. And what a great team effort it was! SRS started strongly, winning the draw and immediately had a number of determined drives to goal. Unfortunately, shots on goal initially went wide of the posts. 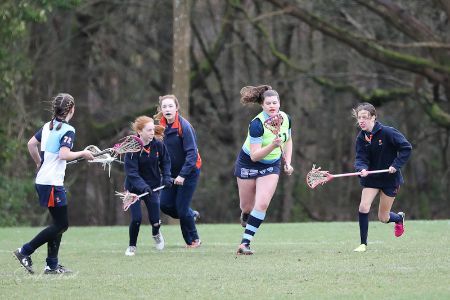 However the girls had picked up last week on the need to chase the ball across the back line and Lucy G was able to convert one of the free positions gained to score. Further goals from Georgie A and Martha R followed - both as a result of at least half-pitch sustained runs. The score stood at 4-0 at half time, following another goal off a MHS boot. Comfortably in control of the match, we were able to move players about the field and give greater playing time and match experience to middle-ranking players. Rosie S, Dulcie C and Emma B made great contributions to defence and Alicia S, Hope R and Evie VB, who also scored, grew in confidence in attack. 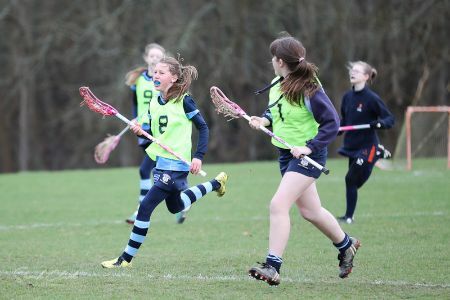 The MHS defence couldn't contain Jemima S once she returned to the pitch and she scored twice, resulting in a 7-1 final score. 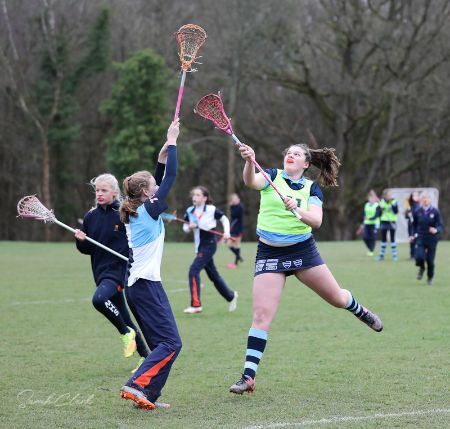 Congratulations to Amelie G, as GK, who made some nice saves and strong clearances; and to Ruby B and Emily H for great play across the whole pitch. 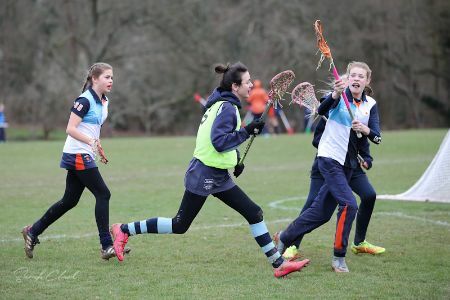 Well done, girls - an upbeat performance and a well-deserved win. Most Valuable Player and Player of the Match: Jemima S.